Deep Roots Dance is an ATS®-based tribal fusion bellydance company, with a focus on joyful expression and strong technique. We offer weekly classes in North Seattle, as well as workshops locally and around the US. Our curriculum has been developed over a decade of teaching students of all walks of life and experience levels. In the classroom, we work together to increase our strength and knowledge, encouraging dancers of all levels to learn to be more present and confident in their bodies. When we take to the stage, we endeavor to express the deep, undeniable power and beauty which lives within every dancer. 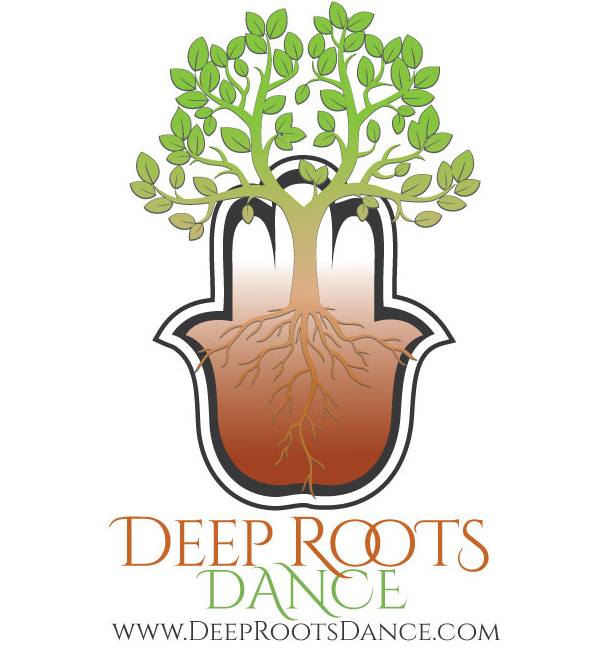 We are pleased to bring together dance, music, art, and healing at Studio Deep Roots, located in the Greenwood neighborhood of Seattle, WA To learn more about the director and instructors at Deep Roots Dance, please see the bios below. If you would like to book Deep Roots Dance for an upcoming event, please visit our Contact & Booking page. Shay was the first instructor to receive dual teaching certifications in both the Gypsy Caravan and ATS® formats. Combined with her background in cabaret and folkloric styles, this has allowed her to develop a signature blended style of tribal fusion which she continues to build upon today. She has directed multiple nationally acclaimed performance troupes, and teaches popular weekly classes in the Seattle area. Shay has had the honor of being hosted as a featured instructor and performer at some of the largest tribal bellydance festivals in the world, including Tribal Fest, Tribal Revolution,Tribal Quest Northwest, and 3rd Coast Tribal. In 2007, her work was internationally recognized when Shay was nominated Instructor of the Year in the Zaghareet Magazine people’s choice awards, alongside such visionaries as Carolena Nericcio. For Shay’s comprehensive biography, including her artist’s statement, details of her training, and career highlights, please visit Shay’s Full Bio page (coming soon). Eugenia Stull discovered a love for movement as an adult. After trying ballet, tap, and yoga; she found home in ATS® bellydance. After years of study with Katrina Ji, Nancy Brown, Caryn Vainio, and Sharon Moore, Eugenia became certified in ATS® Classic and Modern at General Skills and Teacher Training with Carolena Nericcio-Bohlman of FatChanceBellyDance®. For Eugenia, bellydance was first an opportunity to get some exercise, but quickly turned to a passion. The energy and body-awareness brought by this art form inspired so much confidence and so many beautiful relationships.